Here is the list of Betsoft best paying slot machines. BetSoft 3D slots are the most advanced online slots at the moment. Some might like them. Some might say that they are too much of arcade games. And yet, if you haven’t tried them – you just have to. You can also play some of them for free, here at SlotMachinesOnline.co. At the bottom you can find best BetSoft casinos, additional table with the tightest games and Free BetSoft slots to play. Btw, if you find this list helpfull, please share it with others. Thank you! RTP: 97.8%. If you haven’t tried this slot – you should! Good Girl Bad Girl slot (free play) is one of the most exciting and yet rewarding slot machines at the moment. You can choose the way you play the game. First option is the Good Mode. Good mode has low volatility and risk, the payouts are more frequent, but lower. The wins awarded from left to right. Second option is the Bad Mode. This is a high risk option with less frequent wins, but high reward. The wins awarded from right to left. The third option is dual mode. The wins awarded both ways, but you do play double for each spin. On top of that you have wilds, multipliers, Click me feature, double up and Money Wheel bonus. The dual mode is the most recommended. RTP: 97.5%. At the Copa is a new Latin themed slot. This is a 5 reel, 3D Slot. The winnings come from 4 different bonus features: free spins, stacked wilds, the Dance bonus round and 3 Tier progressive jackpot. The maximum jackpot is 430,000 coins. RTP: 97.2%. After Night Falls is a 5 reel, 30 lines 3D slot. 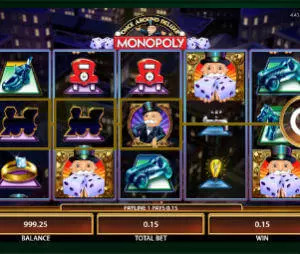 As most BetSoft slots, the game offers multiple bonus features. In this case there are 6 of them: Random multiplier free spins, Moving wilds, 5 Rooms Click Me bonus, Double Up, Collapsing wilds and Granny’s bonus round. The maximum jackpot is 1,550,000 coins. RTP: 97%. Sin City Nights is a brand new slot machine launched in 2017. As usual with Betsoft, you can enjoy multiple bonus features such as Exploding wilds, collapsing reels, multipliers and Free Spins. The Multiplier can go up to x15 which is pretty sweet. RTP: 97%. Safari Sam is Another 5 reel 3D slot on the list. If After Night Falls was a bit too much then Safari Sam is the slot for you. The game offers 3 bonus features: Wild Animal free spins, Collapsing Wilds and Random Multipliers. Maximum jackpot is 250,000 credits. RTP: 96.5%. The Exterminator is a 30 line 3D slot. The game features Sticky Win, Wild Reel, Free Spin, Double Up and interactive Blueprint bonus round. Sticky win is the nicest of them: when a win accurs, the winning combination stays in place while all the others re-spin. RTP: 96.4%. As you might have guest, The True Sheriff is a Wild West themed slot. The max jackpot is 700,000 credits. Showdown Bonus round is the coolest part of the game. Other features are Double Up card game and free spins. RTP: 96 %. Mystery themed 3D slot. The max jackpot is 320,500 credits. In terms of bonus features the game reminds After Night Falls Slot with 6 various options. Who Spun It is far from being a classic casino slot machine and some players might find it a bit too much. Notice the timer on the top of the game – you need to collect as much clues as you can before it reaches 0:00. RTP: 96 %. It Came from Venus is a 5 reel, 30 pay lines video slot. As usual with BetSoft, you can find a cool 3D graphics and multiple bonus games, free spins and multipliers. Somehow we liked it less than the other slots listed here. RTP: 96 %. Cool 3D slot. Bio Pick Me, Scatter Pays, Wild’O’Cution and special bonus round. The biggest wins came from Wild’O’Cution, where all symbols between two Wild’O’Cution symbols turn wild. Try Free Mad Scientist slot here. RTP: 96 %. One of the most popular slots online at the moment. In our opinion Three Wishes slots has the most attractive design of all BetSoft 3D slots. The Magic Lamp and the Genie storyline is fun and exciting. The bonus features are all based on familiar tales: Magic Carpet, Treasure Chest and of course the 3 Wishes bonus round.